In the words of Lee Child on Gone to Dust, “I want more of Nils Shapiro.” Emmy-award winning and New York Times bestselling author Matt Goldman happily obliges by bringing the Minneapolis private detective back for another thrilling, standalone adventure in Broken Ice. 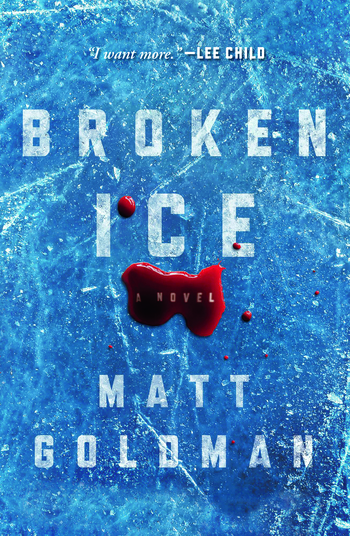 New York Times bestselling author MATT GOLDMAN is a playwright and Emmy Award-winning television writer for Seinfeld, Ellen, and other shows. He brings his signature storytelling abilities and light touch to the Nils Shapiro series. Goldman's debut, Gone to Dust, has been nominated for the Shamus and Nero Awards and was a Lariat Adult Fiction Reading List selection. He lives in Minnesota.